Zoe Hunter loves living on the edge. Free-spirited and spontaneous, she’s built a life stringing together various freelance gigs that keep her bank account barely in the black. 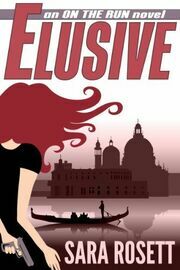 But when her ex, Jack, goes missing along with several million dollars from his business and the FBI zeros in on her as a person of interest, Zoe’s life goes from delightfully unpredictable to downright frightening as she’s swept into an international mystery that takes her from glitzy Las Vegas to the old-world charm of Italy. Perfect for fans of Elizabeth Peters’ Vicky Bliss series, Elizabeth Adler, and Peter Mayle.